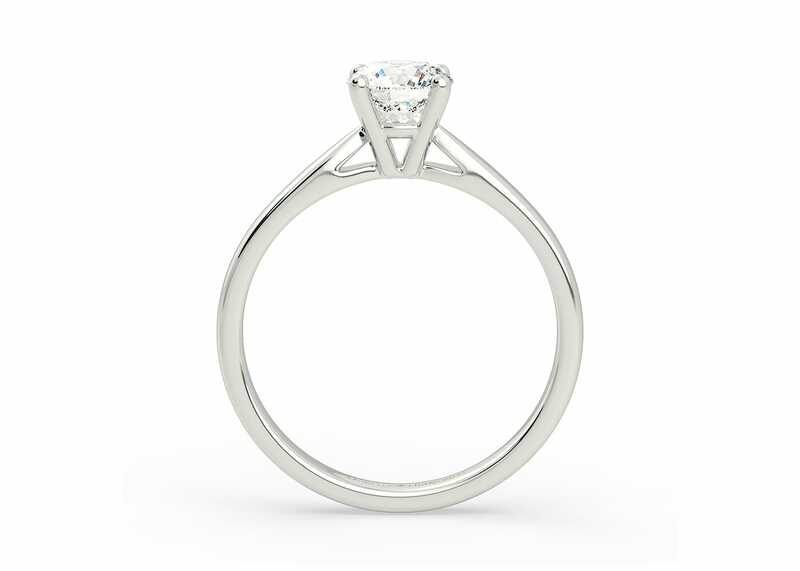 Nick and Joanna chose a classic solitaire engagement ring. Inspired by the Italian word for Loyal, our Classic Solitaire Ettore features 18K White Gold claws which enhance the natural white colour of the diamond. Ettore holds the diamond high above split shoulders that taper and naturally draw the eye to the diamond. Ettore is a classic Solitaire ring, in addition to 18K Yellow gold, it is also available in Rose Gold, Platinum and Palladium.